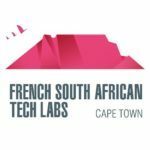 Cape Town-based incubator and accelerator French South African Tech Labs (FSAT Labs) has opened calls for applications to its third class of entrepreneurs, with applications set to close on May 27th 2018. To apply, interested tech entrepreneurs have to fill in an online application form, build a pitch deck and email it to FSAT Labs (contact@fsatlabs.co.za). Selected startups will be invited to a pitch competition at the FSAT Labs offices in Century City on June 4th 2018, where the top four pitches will win entry into FSAT Labs’ six-month program set to kick off mid-June. The programme aims to help the selected entrepreneurs turn their ideas into minimum viable products and ultimately sustainable businesses. FSAT Labs particularly focuses on digital innovation around the areas of smart city, smart education, smart commerce, smart home and smart media. French South African Tech Labs was launched last year in February and has incubated eight startups to date. The entry ticket is an equivalent to R300 000 to R500 000 investment in kind to the startups (offices, professional training, tech services). FSAT Labs’ partners and experts will mentor and coach the selected startups. The programme will also provide participating startups with access to angel investors and venture capitalists. Selected startups will also benefit from legal, accounting, digital, marketing, communication and strategy services among others. Last but not least, the incubated startups will be provided with free tech services (UX design, product development) to develop their Minimum Viable Product. So, are you ready for a 6-month fully-sponsored incubation programme that will give you all the skills and material needed to launch your business (MVP, business plan, and pitch decks)?